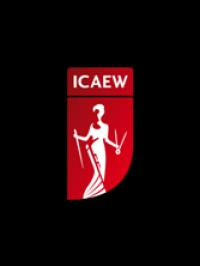 Established in 1880 by Royal Charter, ICAEW is a world-class professional accountancy body with headquarters in the City of London. Outside the UK, we have offices in Europe, the Middle East, Greater China, and South East Asia. We educate and train ICAEW Chartered Accountants; our premier qualifications and programmes are respected internationally by those with the highest aspirations. We have more than 138,000 members in 160 countries. Our members provide financial knowledge and guidance based on the highest techcnial and ethical standards. They are trained to challenge people and organisations to think and act differently, to provide clarity and rigour, and so to help create and sustain prosperity. We promote and encourage the highest standards of practice and professional conduct. We provide valued services to our members and students. ICAEW is a founder member of the Global Accounting Alliance (GAA), which represents 775,000 of the world’s leading professional accountants in over 165 countries to promote quality services, share information and collaborate on important international issues. We also work closely with the European Commission, the Fédération des Experts Comptables Européens (FEE), the International Accounting Standards Board (IASB) and the International Federation of Accountants (IFAC), where we have a seat at board level. Richard Spencer is Head of Sustainability at ICAEW. 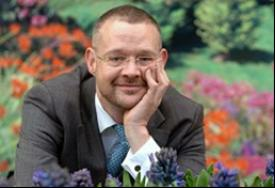 He joined ICAEW in 2005 to set up the sustainability practice within the Technical Strategy department. During this time Richard has led on the ICAEW’s thought leadership and engagement programme in sustainability. He has also recently helped to establish and lead the TEEB for Business Coalition. Before joining ICAEW, Richard worked as a strategy consultant in the Natural Resources division of Accenture. Prior to that he held a number of roles at N M Rothschild & Sons Ltd in the bank’s treasury and natural resources project finance teams, as well as spending a year at Rothschild Australia, a sister organisation. Richard began his career at the Bank of England in banking supervision. Richard holds degrees from the universities of Leeds and London. He is a Visiting Fellow of the Cass Business School, Senior Visiting Fellow at the University of Hull Business School and a Fellow of the Royal Society of Arts. He is a member of the FTSE4Good Policy Committee, the Climate Disclosure Standards Board Technical Working Group and the Fédération des Experts Comptables Européens (FEE) Sustainability Working Group.